Lorna Collins was raised in Alhambra, CA where she earned honors in English. She and husband Larry have published a memoir, 31 Months in Japan: The Building of a Theme Park, and write mysteries. Today she resides in Dana Point, CA and is currently working on more anthologies. Sherry Derr-Wille entered her Sophomore English Class and her life changed when she fell in love with writing. Now she has completed over sixty published works. Today she is a wife, mother of three grown children and seven grandchildren, and lives in Wisconsin. 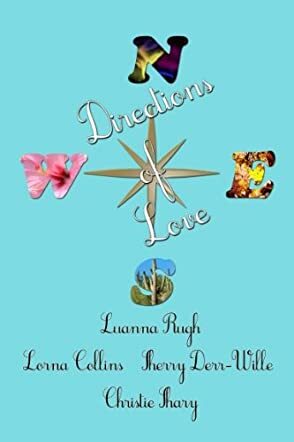 Luanna Rugh is a native Californian who wrote Promises Kept: How One Couple’s Love Survived Vietnam, winner of the 2010 EPIC eBook Award for nonfiction wiht her husband, Len. She lives in Laguna Woods, CA and enjoys traveling, and visiting with friends and family. Christie Shary is married, lives in Dana Point, CA. She has had several books, short stories and poetry published and has been employed as a professional writer. She is now working on a romance novel and a sequel to Lucky Dog. Christie is a world traveler whose memories give life to her characters.